For the fourth year in a row, Kroger Mid-Atlantic is teaming up with Feed More for Thanksgiving Fueled By Kroger. Through the initiative, the grocer is covering the cost of a special Thanksgiving meal for over 800 senior and homebound neighbors in Feed More’s Meals on Wheels program. Kroger is also making the week of Thanksgiving extra special for Feed More’s volunteers by giving a $10 gift card to almost 400 Feed More volunteers. During the week of Thanksgiving, Meals on Wheels volunteer drivers deliver the Thanksgiving meals to recipients on more than 90 routes across 14 localities throughout greater Richmond and the Tri-cities. Kroger donated the full cost of the special holiday meal, saving Feed More over $4,000. The Thanksgiving meal includes roast turkey and gravy, cornbread stuffing, honey glazed carrots, green beans amandine, a whole wheat roll, cranberry sauce and apple-glazed carrot cake. For recipients with specific dietary restrictions, the menu is adjusted to accommodate their nutritional requirements. Additionally, to offset the cost of fuel and show thanks for their generosity, almost 400 Meals on Wheels volunteers during the week of Thanksgiving will receive a Kroger gift card. The average Meals on Wheels driver follows a 13-mile route that takes roughly 55 minutes to complete. Kroger will provide each driver with a $10 Kroger gift card to be redeemed at Kroger Fuel Centers to assist with the cost of fuel. 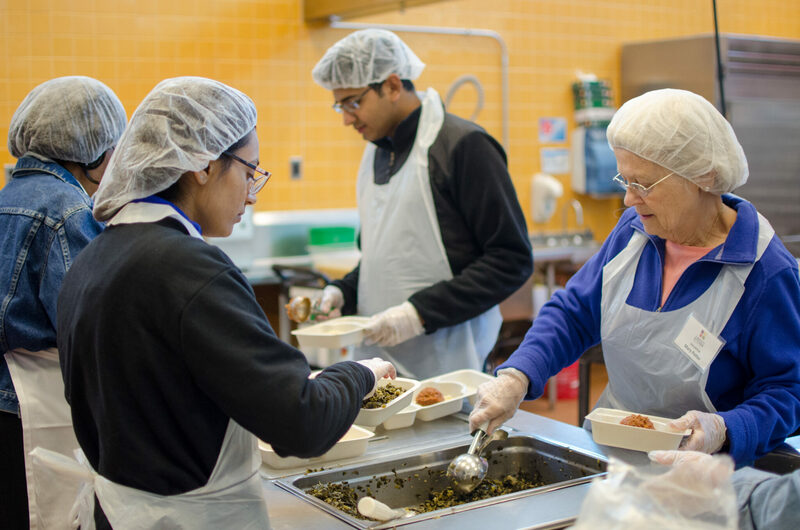 Since 2014, Kroger Mid-Atlantic has donated more than 2 million meals to Feed More through a variety of initiatives, including coin box donations, icon sales, corporate donations, partnerships, perishable donations and other community events. The Mid-Atlantic Division operates 109 stores, 113 pharmacies and 87 fuel centers and an expanding number of online ordering locations in Virginia, West Virginia, Kentucky, Tennessee and Ohio. Based in Roanoke, the Mid-Atlantic Division employs approximately 16,500 associates. We are dedicated to eliminating hunger in the communities we serve through our partnerships with 9 Feeding America food banks and numerous local organizations. Our Zero Hunger | Zero Waste efforts is aimed at ending hunger in Kroger communities and eliminating waste in our stores by 2025. We also support breast cancer research, the military and their families and more than 4,000 non-profit organizations in our communities.